The Beckman Center for Conservation Research, is located at the San Diego Zoo Safari Park. This facility opened in 2004 and is now one of the largest multidisciplinary research teams housed at a zoo. The Beckman Center sits on 1,800 acres of free-range enclosures and natural habitat exhibits for over 3,500 animals and 1.5 million botanical specimens. Natural environmental settings, as well as the two million zoo visitors annually, create vast amounts of airborne pollen, seeds, dust and dirt. Pace equipment was installed to remove and replace fresh air throughout the center. 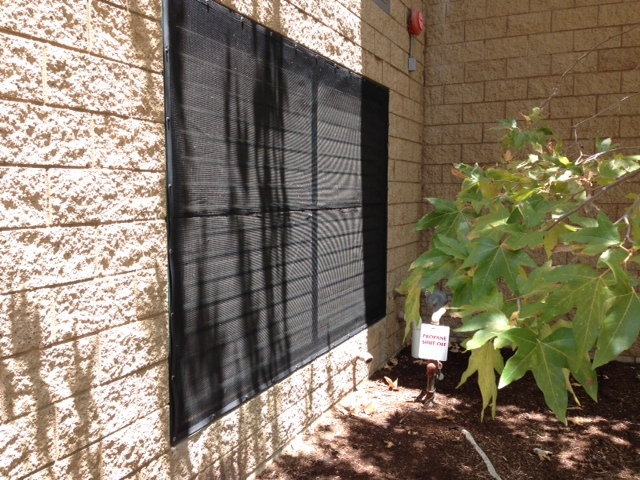 The system’s air intake louvers and coils are built into the outside walls of the brick building. 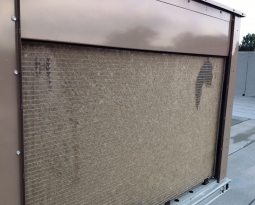 Along with fresh air, the air intakes draw in environmental dust and moisture which clogs and collapses the disposable prefilters inside. 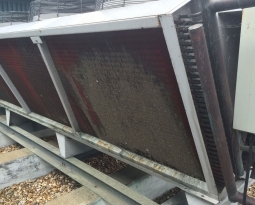 Restricted air flow, HVAC system downtime, increased cleaning maintenance and frequent filter change outs were a costly problem. 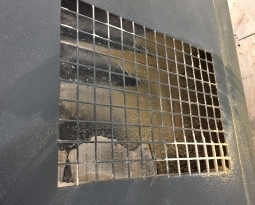 Jeff Wilson, construction and maintenance lead for the facility, worked with Total Filtration Services to find a sustainable air intake solution. PreVent Model U air intake filters were custom sized and finished with a flexible edge and grommets to install easily and securely onto the outside louvers with mount clips. 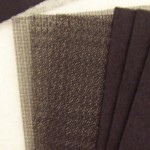 The UV protected electrostatic polypropylene media captures airborne dust and debris before it enters the system, allowing the filter banks to work efficiently at capturing fine particles. 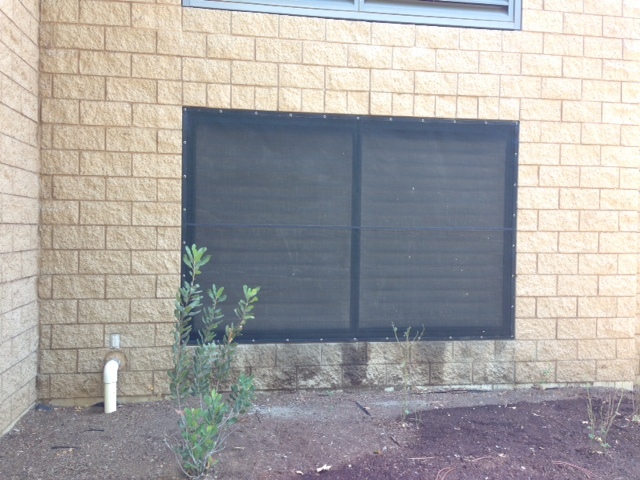 Facility maintenance removes the filter screens monthly, hoses them clean and then reinstalls them quickly. The air handlers are running efficiently and maintenance has reduced filter bank disposable prefilter change outs to quarterly. 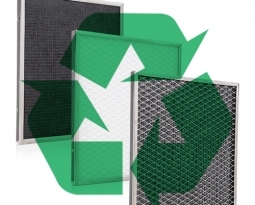 A preventative maintenance solution, like PreVent air intake filters is a cost effective and sustainable way to keep equipment running clean and energy efficient in an effort to conserve our world for future generations. 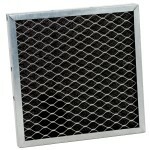 What are Vent Filters and How do They Work?